All Mentone homes currently listed for sale in Mentone as of 04/26/2019 are shown below. You can change the search criteria at any time by pressing the 'Change Search' button below. 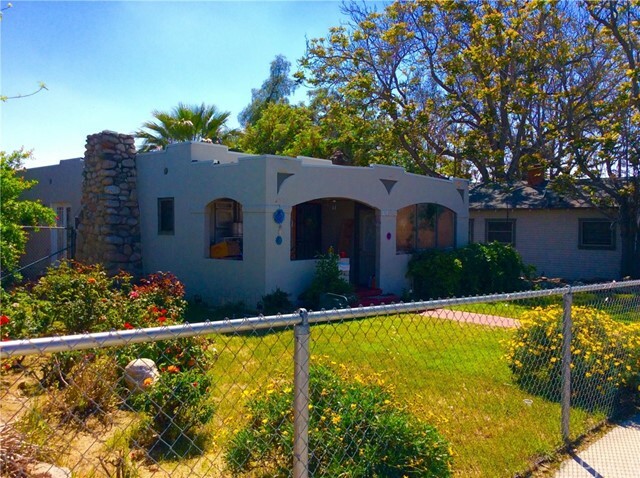 "MENTONE PORTFOLIO OF 3 PROPERTIES! FIRST TIME ON MARKET SINCE THE EARLY 1900'S AND PASSED THROUGH THREE GENERATIONS. SALE CONSISTS OF 3 CONTIGUOUS PARCELS ALONG HIGHWAY 38 (MENTONE BLVD) BETWEEN OPAL AND TURQUOISE. BE READY TO OWN HALF OF THE ENTIRE BLOCK. PROPERTIES PRESENTED ARE 1 RETAIL STORE, 2 SINGLE-FAMILY-RESIDENCES, AND 1 FOUR-PLEX. ALL THE UNITS ARE LEASED AS WELL AS THE RETAIL STORE. LOW RENTS CURRENTLY FOR TENANT STABILITY BUT THERE IS OPPORTUNITY FOR INCREASE. BRAND NEW SHOPPING CENTER ANCHORED BY CVS, STATER BROS, AND STARBUCKS LOCATED HALF-MILE AWAY. HIGHWAY 38 ROUTES TO BIG BEAR AND OTHER MOUNTAIN CITIES. MUST SELL WITH 1826 & 1840 MENTONE BLVD. PRICE IS FOR ALL 3 PARCELS." "Large flat lot on a 5-way corner. Lot: 306x323 ( 2.24 acres) Close to the University of Redlands, Fwy 210, 10 & 15. 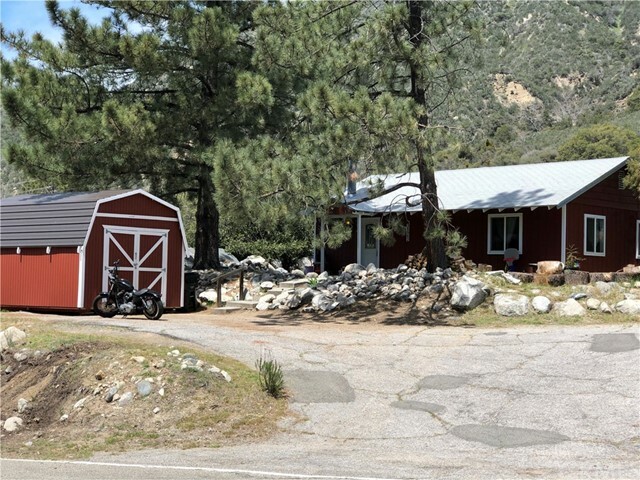 Zoned CN (Commercial Neighborhood) Corner location offers high visibility to traffic going to and coming from Big Bear Lake, Arrowhead Lake, and Silver Lake. Bonus income: one house a 2 bedroom 1 bath with 1260 sqft. Is currently being rented. Excellent opportunity for investor and developer." "From the moment you arrive, you will absolutely love this gorgeous, historic home in a peaceful, rural setting. Vintage charm with plenty of upgrades, this home affords exceptional privacy and stunning views of mountains and orchards. You'll adore beautiful details like French doors, French windows that open inward, window awnings, a jetted tub and his/hers showers in the master bath, huge walk-in closet, built-in shelving, and multiple balconies. 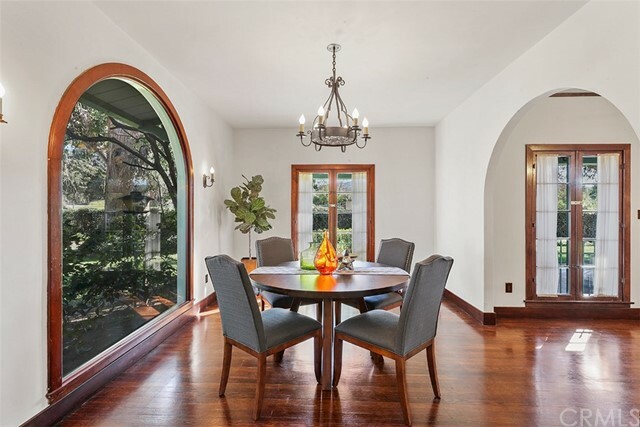 The formal dining room makes entertaining friends and family a breeze. Galvanized pipes have been changed to copper. knob and tube electrics updated to romex, new roof, garden boxes wired to prevent rodents, fine plaster walls with no cracks, and fireplace insert and fire bricks. The laundry room makes quick work of chores. 35x35 Game Room, 40x10 Bathroom upstairs. Get ready for plenty of parties and barbecues for years to come in the sprawling patio surrounded by fruit trees. Parking is never an issue with space for 7 cars, plus an auto shed. 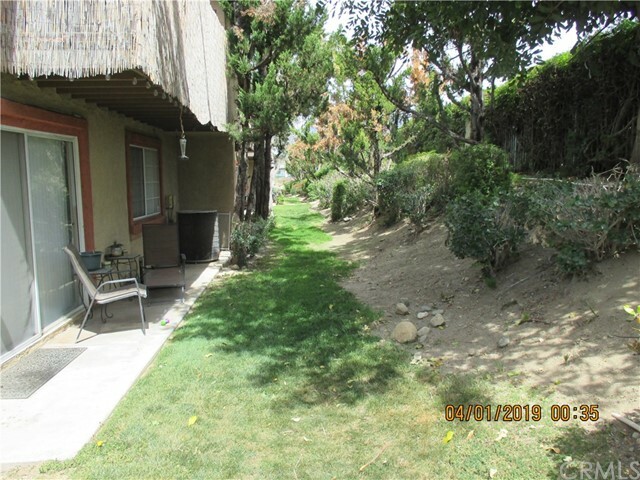 Ideal location at the foot of the San Bernardino mountains. Hurry! Homes in this excellent area do not last!" 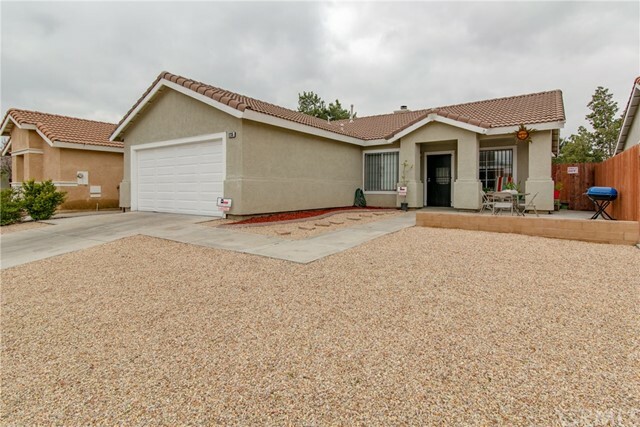 "Welcome to this Enchanting 3bed, 2 bath, 1,801 sqft single story home, plus a guest a house that offers 1bed,1 bath home aka mother-in-law headquarters. You get two homes on over half an acre! Big detached garage, with a Man Cave and it also offers a separate room, for you to use as a storage room, music room, weight room or a craft room, whatever your heart desires. Huge forest like yard, that feels like a retreat with lots of privacy, Beautiful mountain views, and has enough room for your RV, trailer, boat or any outdoor toys. RV/Trailer hookup with water/electricity available, and has it's own septic tank. Yard offers fruit trees that include orange, apple, pomegranate, and a lemon tree. This home has been loved and cared for by current owner since 1977. Now it's time for you to make this your forever home!!!" "**Huge price reduction plus appliances offered!! ** Sellers are the first and only owners of this home! Five bedrooms- one downstairs with its own bathroom! 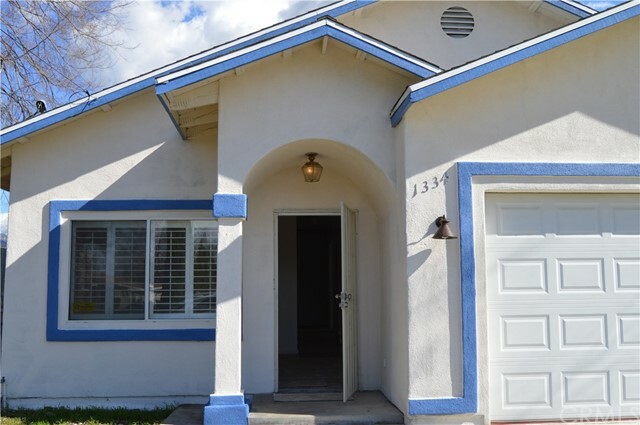 Very spacious at over 2,100 square feet, the home offers three full bathrooms, a grand front entry with a mosaic tile inlay, and a spacious THREE-car garage. The back yard boasts orange, pomegranate, avocado, and lime trees. This comfortable home has granite counter tops in the kitchen and bathrooms, tasteful laminate and tile flooring, plus charming plantation shutters throughout. Upgrades, like a tankless water heater, have kept this house current. The inexpensive HOA offers a swimming pool and a nice park. 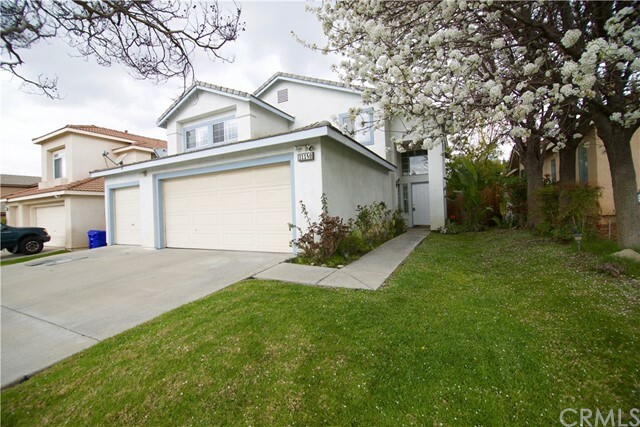 Part of the Redlands Unified School District and walking distance to Mentone Elementary and Redlands East Valley. A stone's throw from the University, Crafton Hills College, Hangar 24, and downtown Redlands- you cannot go wrong with this amazing property!" "Can you say NO HOA AND LOW TAXES? 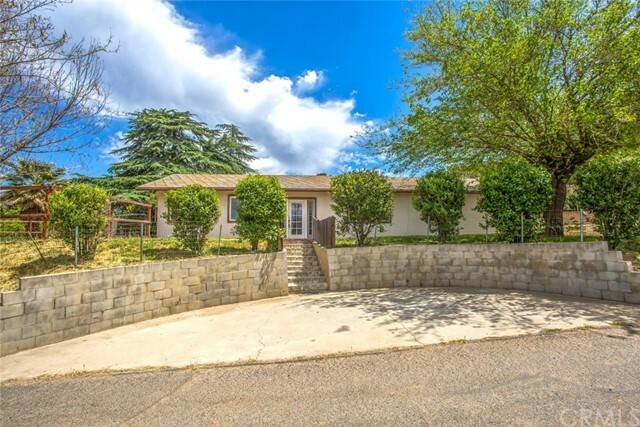 Come on, say it with me... NO HOA AND LOW TAXES...TURNKEY, LOW MAINTENANCE, SINGLE-STORY HOME IN MENTONE ON CUL-DE-SAC. Welcome to 1235 Maplewood Lane, a move-in-ready 3-bedroom + office or 4-bedroom property with 2 baths in a fantastic neighborhood. OPEN CONCEPT with an UPDATED KITCHEN with QUARTZ counter tops and ALL the APPLIANCES included: Refrigerator, Dishwasher, Stove, Washer & Dryer. It also features CATHEDRAL CEILINGS, tile flooring and carpet throughout, and a cozy FIREPLACE. Nice sized master bedroom suite with walk in closet, shower/tub and DUAL SINKS in master bathroom. The hall bathroom has been recently remodeled with a new shower, toilet and vanity. New paint, new blinds, new water heater, new garbage disposal, and upgraded baseboards & doors. 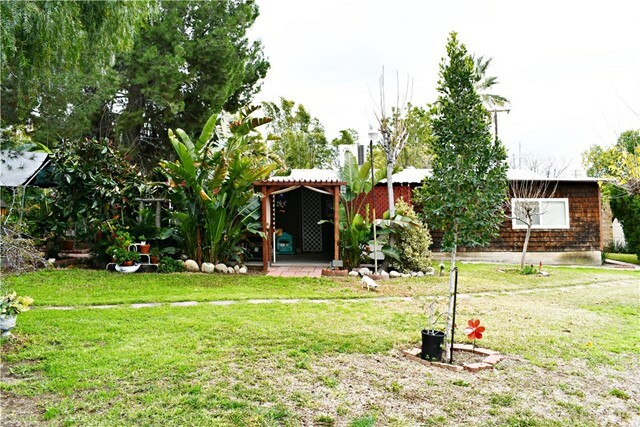 Large lot with court yard, and private backyard with newer fencing. Conveniently located near the Downtown Redlands dining and shopping district. 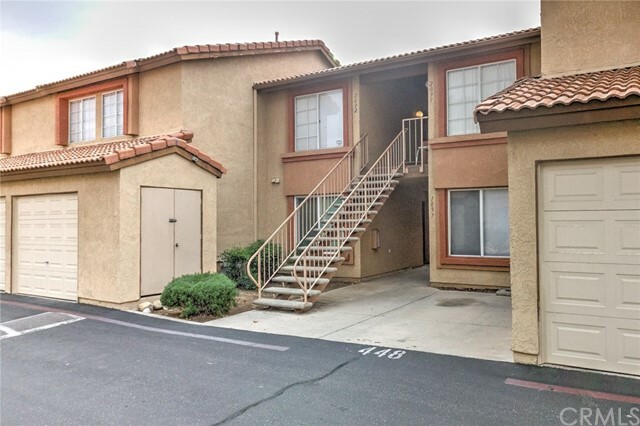 NO HOA, low taxes, community park and tennis court blocks away." "HUGE PRICE REDUCTION...MOTIVATED SELLER..WANTS SOLD ! !CUTE AND COZY REMODEL ON THIS 1950'S CHARMER. 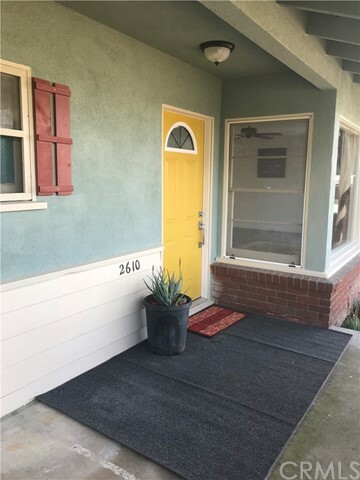 NEWLY ADDED CENTRAL HEAT AND AIR, GORGEOUS REMODELED AND UPDATED KITCHEN WITH ALL STAINLESS STEEL APPLIANCES, GLASS BACK SPLASH, GRANITE COUNTER TOPS, AND SUPER CUTE WALK IN PANTRY. 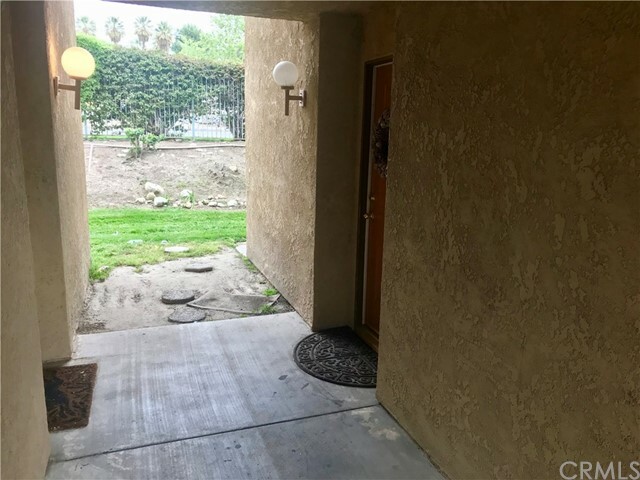 ALL THREE BEDROOMS HAVE CEILING FANS (TITLE SHOWS 2 BEDROOMS BUT THERE ARE 3), LIVING ROOM HAS A BEAUTIFUL FIREPLACE, AND BOTH BATHROOMS HAVE BEEN COMPLETELY UPDATED AND REMODELED. 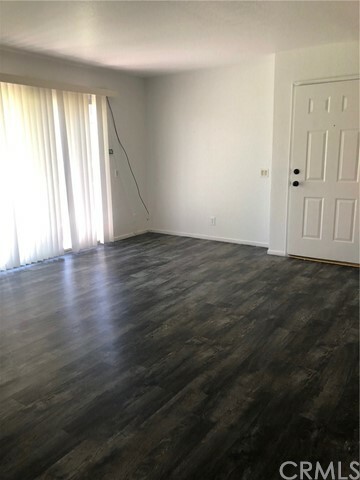 NEW FLOORING AND PAINT THROUGHOUT. LARGE LOT WITH TERRACED BACKYARD, COVERED PATIO THAT HAS A STORAGE ROOM WITH LAUNDRY HOOK UPS, AND AN OUT DOOR KITCHEN.DETACHED 2 CAR GARAGE...AMAZING MOUNTAIN AND CITY VIEWS.....PROPERTY IS COMPLETELY FENCED.....CUSTOM PAINT THROUGH OUT..THIS IS A MUST SEE PROPERTY." "***HUGH REDUCTION***Very cute, just remodeled 4 bedroom single level entertainment property - and priced right! Cutest remodeled home In neighborhood. You simply will want to stay and begin making this your home! This is a well done 4 bedroom remodeled beauty with a 2 car attached garage, fenced yard with a backyard for entertaining. Master bedroom has a large beautiful bathrooms, open floor plan, amazing kitchen layout that is conveniently placed in the center of this house. The interior has fresh paint, new neutral colored carpet throughout, so much more with tasteful finishes. No HOA!" 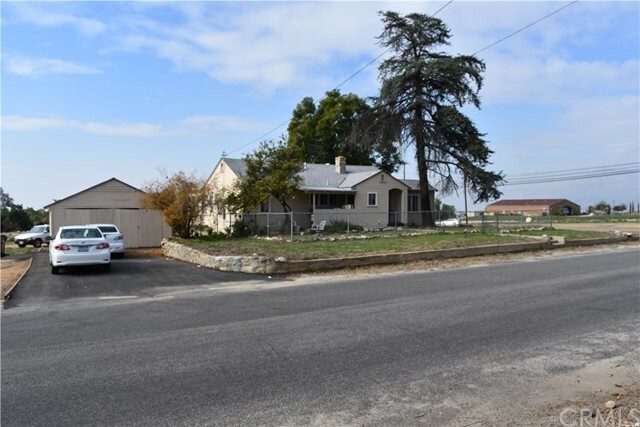 "Welcome Home to this amazing property located in the foothills of Mentone at the entrance to Greenspot Farms just minutes from Forest Falls , Redlands and Yucaipa. 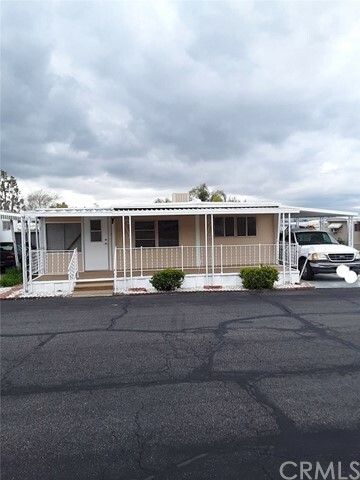 This 3 bedroom 1 bath was recently painted inside and has an open floor plan, with family room and dining room, indoor laundry , the larger back bedroom with bonus area has a slider out to the back where you could build a garage or car port, next to the RV parking." "Cozy Cottage!! Located in Adorable community of MOUNTAIN HOME VILLAGE! Upon arrival your heart will warm as you take in the quaint cottage vibe, fresh exterior paint, low maintenance landscaping and picturesque backdrop of this distinctive property. A quick walk around the grounds reveals a .2 acre lot with outdoor living area, irrigated box gardens, extra storage and of course THAT VIEW. As you walk inside you have plank flooring, new designer paint everywhere, custom baseboards, newer fixtures, remodeled bath and kitchen On top of the large main living area and 2 big bedrooms upstairs, it s the finished basement that makes this home a must have. This multi-use space awaits with over 200 sq.ft. and it s own separate entrance . Is it a 3rd bedroom, a game room, home theater, office? You decide. This home is unique beyond measure with a sought after attached garage, workshop and gated parking. You must see this Adorable home to appreciate all that it has to offer!!" 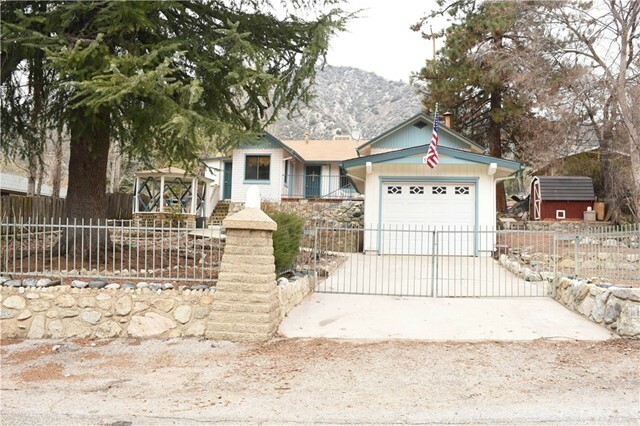 "Come take a look at this cottage-style home located in Mountain Home Village located in the mountainous area of Mentone CA. Sellers are motivated as they need more space for their growing family and will pay up to $2500 in buyer CLOSING COSTS! This 2 bed 1 bath home has beautiful views and a creek running behind it. It's updated with granite counter tops and fresh exterior paint. The septic tank and leach lines have been recently updated as well so you won't have to worry about replacing them anytime soon. Perfect starter home, getaway, rental or even a retirement property!" 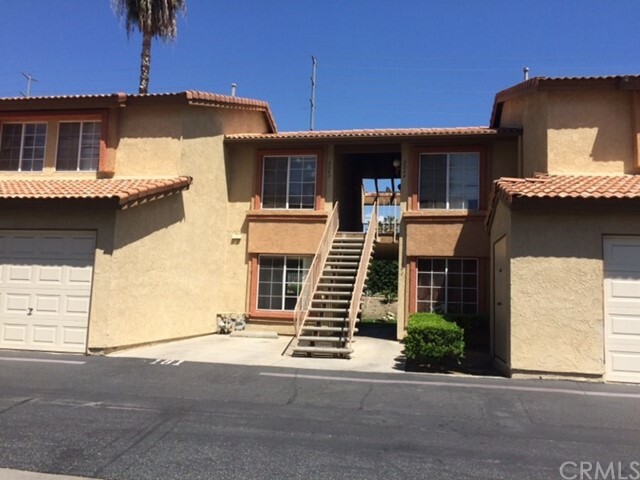 "3 Bedroom, 2 bath condo in gated community. Private 1-car garage plus one additional assigned space. Upstairs unit with balcony. Central air and heat. Kitchen is large with an eating area and open to the family room which looks over the balcony. Master bedroom has an attached bath. Common pool, and spa. 24-hour security with gated entrance." "NICELY SITUATED UPSTAIRS END UNIT CONDO-LARGER 3 BEDROOM 2 BATHROOM UNIT-SPACIOUS KITCHEN AND LIVING ROOM-1 CAR GARAGE AND 1 ASSIGNED PARKING SPACE-DESIRABLE COMMUNITY AMENITIES-POOL SPA CLUBHOUSE EXERCISE GYM-WATER AND TRASH INCLUDED-24 HOUR GATED ENTRY-LOCATED NEAR TO ELEMENTARY SCHOOL AND FIRE DEPARTMENT-LOCATION LOCATION LOCATION!!!" "Wonderful downstairs unit with attached 1 car garage & parking directly in front of unit. Great location & easy access. Walking distance to schools, shopping, shopping centers, etc." "Marabella Condo complex. This one bedroom, one bathroom is on the bottom floor and close to the entrance. Kitchen opens up into the living room. One car garage with direct access from the kitchen. Great investment opportunity awaits. HOA offers many amenities including pool, 24 hour security." "1 Bedroom/ 1 Bath condo in gated community. Private attached 1-car garage plus one additional assigned space. Ground floor unit with a patio that opens to the greenbelt. All new laminate wood flooring and paint throughout. Central air and heat. Kitchen is large with an eating area and open to the family room which looks over the balcony. Bedroom has an attached bath. Common pool, and spa. 24-hour security with gated entrance." "Double wide with 2 bedrooms & 1 bathroom, new carpeting & laminate flooring, granite counter tops, corner lot with 2 porches (one enclosed).Remodeled inside & out. Well kept, senior park with pool & clubhouse."